Our complaints have all now been resolved. The complaint against Susan Kennard was upheld. The complaints against Michael Culp (Natural Health and Wellness Centre), London Leech Therapy and Lesley Parkinson (Brainhealth) were all informally resolved. The practitioners in question have all assured the ASA that they will amend their websites to bring them into compliance. Our complaint against the Zhai Clinic has been referred to the Committee of Advertising Practice (CAP) compliance team, because the ASA already has well established positions on the efficacy of traditional Chinese medicine and acupuncture, and the use of the title ‘Dr’ by practitioners. Our complaint against Ainsworths will also be dealt with by the CAP compliance team. Our complaint against the Energy Clinic, where Margareta Griesz-Brisson practises, has been referred to the Medicines and Healthcare products Regulatory Agency (MHRA). Episode 3 of the BBC2 series Inside Harley Street, broadcast on Monday 27th April, explored complementary and alternative therapies. It is still available on iPlayer in the UK. 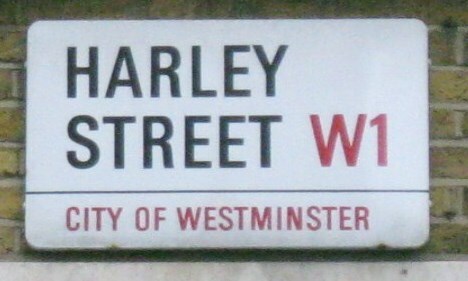 While it might not have been the intention of the programme-maker, the documentary shone a light on the large number of alternative treatments available in the Harley Street area, which appear not to be supported by good evidence. On examining the websites of each of the alternative medicine practitioners featured in the programme, we found that all of them were making claims which we felt to be misleading. We found over a hundred problematic claims on one website alone. We have reported all seven of the complementary and alternative medicine businesses featured in the programme to the Advertising Standards Authority. It is worth noting that this is just the tip of the iceberg, given that we have encountered similar claims repeated by thousands of alternative therapists across the whole of the UK. We suspect that dubious treatments could be given undeserved legitimacy if practised in the prestigious Harley Street area, especially if practitioners use the title “Dr”. It is even possible that patients may delay consulting a conventional doctor in the belief that they are already receiving appropriate treatment from an alternative therapist. Dr. Culp received his medical degree from Bastyr University in Seattle, Washington, where he was later appointed to the faculty to teach courses in medical nutrition and nutritional biochemistry while practising as a family GP at University Health Clinic in Seattle. By improving function the practitioner may not only treat any disease, but can also correct functional imbalances and promote optimal health and longevity. We find such a sensational and unjustified claim very worrying. Michael Culp was shown on the programme using Applied Kinesiology in order to make diagnoses and to select treatment. One particularly bewildering clip shows Culp explaining how a patient could suddenly develop a shorter limb during a consultation. Although practitioners may believe that it is effective, Applied Kinesiology makes no biological sense and is not backed by good evidence. Culp’s website reveals that he uses a variety of other diagnostic techniques, which appear to us to be ineffective, including Live Blood Analysis. The sheer volume of misleading claims on Culp’s site was astonishing, with over a hundred claims which appeared to breach UK advertising rules. Xiao-Ping Zhai runs a fertility clinic which uses Traditional Chinese Medicine to help patients conceive and to support a healthy pregnancy. According to the programme, the patient featured had her first appointment with Zhai around two weeks after suffering a miscarriage, after having tried to conceive for five years. On the programme, Dr Zhai explains that she initially trained in Western medicine. However, neither Zhai nor any of the other doctors named on the Zhai Clinic website is registered with the GMC. Furthermore, there is no good evidence that either Chinese herbal medicine or acupuncture is effective to treat any of the causes of infertility. The diagnostic techniques shown on the programme and described on the Zhai Clinic website are highly questionable. Looking at the tongue is not a biologically plausible method of diagnosing fertility or any of the causes of infertility. Zhai does not take the patient’s pulse in the conventional way, but uses a method which is typically used in Traditional Chinese Medicine and which is not based on modern understanding of physiology. The treatments offered by the Zhai Clinic are not just unproven, but could also be harmful. Acupuncture commonly has minor side effects (such as bruising, bleeding and temporary pain) and there is an additional rare risk of serious side effects. Chinese herbal medicine also carries significant risk – if the products contain any active ingredients there could be unexpected side effects. This should be of additional concern to a patient who is trying to conceive, as she could be in the early stages of pregnancy. Offering an ineffective treatment when there is a risk of side effects is unacceptable. The patient shown on the programme admits that she did not know what was in the medicines she was sold. The overwhelming majority of Chinese herbal medicines are not licensed by the Medicines and Healthcare products Regulatory Agency, which means that such products are essentially unregulated. The MHRA have had to issue warnings on a number of occasions when Traditional Chinese Medicines have been found to be contaminated with microbes or heavy metals, or to be adulterated with prescription drugs. In our view, this is a serious issue which affects the entire industry across the whole of the UK. Despite using the title Dr, Lesley Parkinson is not a qualified medical doctor as far as we can tell. Her name is not on the GMC register. Although neurofeedback has been used to treat epilepsy and ADHD, it is not a well established technique in our opinion and the evidence to support it to treat other conditions appears to be weak and inconsistent. The programme also featured Ainsworths homeopathic pharmacy, which sells a selection of highly questionable medicines, many of which do not appear to be licensed by the MHRA. One customer shown on the programme, who also happens to be a naturopath, explains that she is self-medicating with a selection of Ainsworths remedies including homeopathic X-ray and homeopathic coffee. The choice of products on sale to the public from the Ainsworths website is bewildering and very worrying. Although the products themselves are homeopathic and presumably contain no active ingredient, it was of concern to find that many of the products share their names with illnesses or with prescription medicines, thereby suggesting that they can be used for serious conditions. In 2006, BBC Inside Out exposed Ainsworths for selling homeopathic vaccines. Ainsworths pharmacist Tony Pinkus, who also appeared on Inside Harley Street, had been prepared to recommend homeopathic pills called Pertussin to parents as an alternative to the whooping cough vaccination. In 2011, the ASA upheld a complaint against advertising for Ainsworths homeopathic travel kit, which offered alternatives to travel vaccinations and in 2013, the MHRA told Ainsworths to stop advertising a number of homeopathic “vaccine” products, including Pertussin. At the time of writing, Pertussin is advertised for sale on the Ainsworths website. There are also homeopathic preparations of various bacteria advertised for sale (eg various Bacillus species),Tetanus Toxin, Tetanus Antitoxin, various types of cancer (Osteosarcoma, Melanoma Metastasen, Melanoma Sarcomium, Tumour Bowel) and homeopathic preparations apparently based on various prescription medicines (Penicillin, Temazepam). None of these products are licensed medicines, as far as we can ascertain, and are particularly worrying because their names suggest that they are intended to treat or prevent serious disease. Dr Margareta Griesz-Brisson is shown on the programme giving herself a vitamin C infusion for wound healing after having had dental work. She also explains that she tries to avoid using sticking plasters because of toxins in the glue. Many patients appear to be asked to avoid anything which is not sourced from nature, and some patients may be supported in their false belief that they could be suffering from electromagnetic sensitivity. One of Griesz-Brisson’s patients is shown undergoing a vitamin infusion while lying on a “magnetic mat” in order to “purge the body of electromagnetic waves”. Such ideas are pseudoscientific and are not supported by evidence. We feel that the advice given could be alarming to patients and could encourage them to undergo treatments and to make lifestyle changes which would not be in their best interests. Griesz-Brisson practises at the Energy Clinic, which advertises that infusions of “vitamin, micro-nutrients and complex homeopathics are essential for optimal health and primary prevention”. This claim is not supported by any good evidence. Surprisingly, Griesz-Brisson is on the GMC register. All claims regarding the use of leech therapy, with the possible exception of knee osteoarthritis, are unsupported by evidence. Yet Maryam Rahbari’s London Leech Therapy website claims that leech therapy can help with a variety of skin diseases, neurological disorders, rheumatic diseases, endocrine diseases and more. Several of the conditions named on her website, such as pancreatic diabetes, require medical attention. We feel that patients could be put at risk and may even delay appropriate treatment in the belief that leech therapy could be of benefit. Similarly, practitioner Susan Kennard advertises that Emotional Freedom Technique (EFT), which involves tapping lightly on parts of the body, can be helpful for a huge range of health conditions, even though there is no good evidence that this is the case. It is of particular concern that some of the conditions listed on her website, such as asthma and “blood pressure” can be serious and life threatening and would require appropriate medical advice and treatment. Patients could be put at risk if they decide to forego or delay taking prescribed medicine in the belief that EFT is effective. Viewers of Inside Harley Street might be tempted to visit Harley Street practitioners, or therapists in their local area, in order to try the therapies featured in the programme. We strongly urge any patients looking at alternative or complementary treatments such as these to be extremely cautious, to always question the validity of the treatment they are considering, and to discuss with their GP whether or not alternative therapies are appropriate. The use of emotive testimonials, alternative diagnostic techniques and misleading advertising claims could encourage patients to waste time and money on therapies that turn out to be completely ineffective, and sometimes even harmful. We asked the alternative therapists mentioned in this article for their comments, and two of them offered these responses. As a very experienced and well qualified practitioner, I operate under strict ethical guidelines. I never claim to heal or cure and before I start work with a client or even if it’s free, I ask them to sign a form which clearly states I am not a medical practitioner and do not claim to heal or cure. I consider myself a practitioner who uses energy techniques to help others to be empowered and make their own choices. To essentially help them to clear unwanted beliefs that can lead to stress both emotional and physical. I have found this to be very effective and watched my clients create the lives they choose by releasing emotional clutter. My web-site makes it absolutely clear that I am a Clinical Psychologist. If you check you will find that Clinical Psychology is a Doctorate level profession, registered with and regulated by the Health Care Professions Council, of which I am a member. I am also a member of the British Psychological Society and other Scientific Societies. I am a Fellow of the Royal Society of Medicine. I have presented at Scientific Conferences which have Scientific Boards evaluating proposals and presentations. I have also published evaluative studies in Scientific Journals. Our concerns about alternative therapists in the Harley Street area have been covered in an article that appeared in the Sunday Telegraph on 10th May 2015. We will be reporting back monthly on the progress of our complaints to the Advertising Standards Authority.